After a mega 2018, we’re sure the Little Mix ladies will be staying busy and booked throughout the forthcoming year. Before launching back into her hectic showbiz schedule, however, Leigh-Anne Pinnock jetted off for some last minute winter sun in Jamaica. Keen to bring fans along with her, the 27-year-old babe has been keeping followers in the loop with her holiday happenings – and doesn’t she just look amazing! 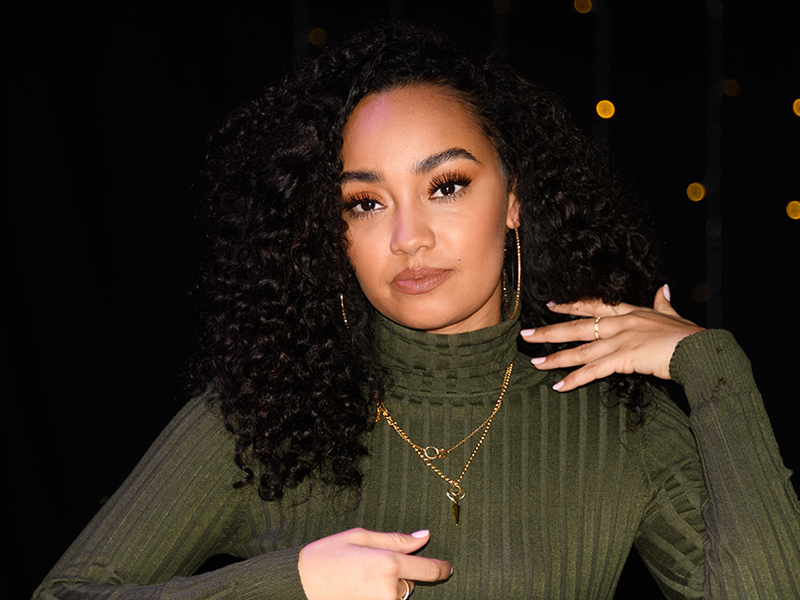 Since returning back to Blighty following her sun-drenched vacay, Leigh-Anne appeared to indulge in a lil’ holiday nostalgia. Taking to social media, a sun-kissed Leigh-Anne smouldered for the snap whilst pulling herself out the crystal clear ocean. With her hair slicked back, Leigh-Anne sizzled for the post in a simple black bikini. ‘In my happy place,’ Leigh-Anne captioned the smoking hot post. As expected, fans have flooded the much-loved babe with kind messages. Leigh-Anne isn’t the only member of the famous foursome to flee the UK in favour of some sunny fun. In fact, 26-year-old Jade Thirlwall is spending some quality time in Thailand with her beau Jed Elliott. Documenting their fun-filled vacay, the duo charmed fans with some super-sweet snaps of their elephant sanctuary visit. Having befriended the herd of creatures, Jade recently shared a snap of the moment she took a stroll with one of her new friends. Shielding herself from the searing sun, Jade sported a straw hat on top of a simple combo of demin Daisy Duke cut-offs and a black bikini top. ‘Beautiful creatures, you and me,’ Jade captioned the shot. Right, who fancies a quick mini-break? !